iRealHousewives | The 411 On American + International Real Housewives: ITVBe Confirms The Real Housewives Of Cheshire Is Getting A Reunion Special For Season 6! ITVBe Confirms The Real Housewives Of Cheshire Is Getting A Reunion Special For Season 6! This week, ITVBe announced that they're bringing back the reunion special for The Real Housewives of Cheshire. The network took to social media to alert fans of the series that they can submit their questions for the upcoming Season 6 reunion. "The reunion is BACK! 🙌 Submit your question with your name and #RHOCheshire - it might just make it onto our reunion show!," wrote the network. If you recall, there was no reunion special last season. The network decided to take a different direction and do an "alternative reunion" and instead do a behind-the-scenes special with reunion host Brian Dowling paying the cast a visit in their homes. The special was called At Home With The Real Housewives of Cheshire. The special was not a big hit with the viewers. While fans were left unsatisfied after realizing that there was no reunion special, the network at that time released a statement revealing their reasons why they decided to take a different approach instead on doing the franchise's infamous reunion specials. Brian Dowling will also return as host. Dowling confirmed the news on Twitter when a fan asked if he was returning as host. He replied with thumps up emoji. 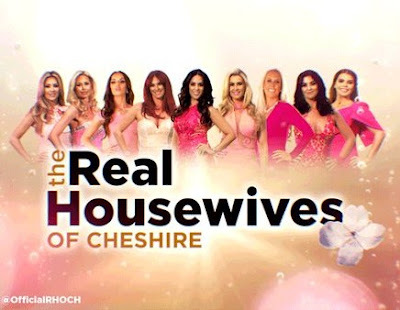 Are you happy that RHOCheshire is getting a reunion special again? Sound off in the comment section below!